Kentucky beef cattle producers have reason to be proud. The Bluegrass State is the largest beef cattle producing state east of the Mississippi. 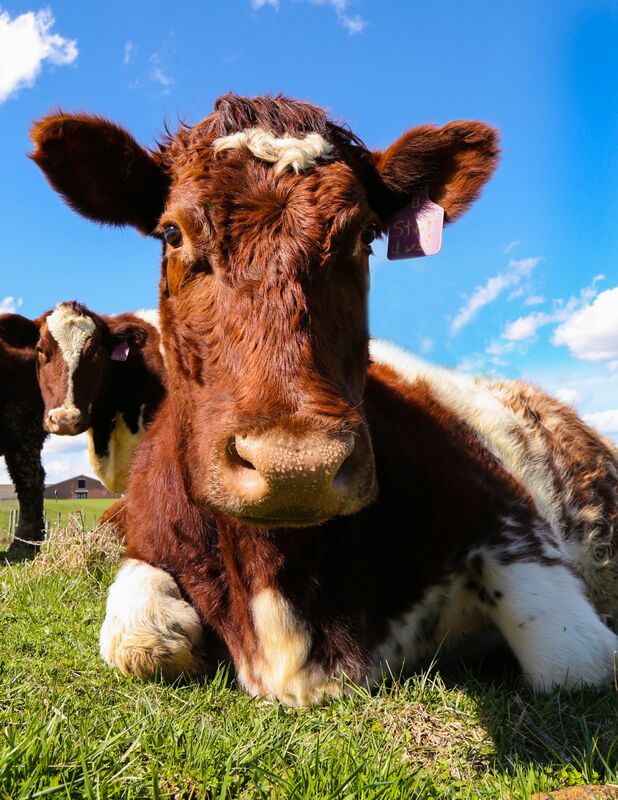 Kentucky ranks 8th nationally in beef cattle production, and cattle and calves rank 4th among Kentucky commodities for cash receipts, topping the $830 million mark. While the cattle industry here has become nationally recognized from a production standpoint, it is also known for some of the biggest and best livestock shows in the country, as well. Kentucky Farm Bureau’s Beef Expo is an example of that. This year’s event was another for the record books. According to information from the Kentucky Department of Agriculture, sales exceeded $1 million for the fifth consecutive year and were the second highest on record. Specifically, sales for the event totaled more than $1.206 million, second only to last year’s $1.39 million. The 442 lots averaged $2,730 per head, also the second-best in Beef Expo history behind only the 2015 average of $3,128. Cattle from 15 states were shown at the Beef Expo. The 19 Gelbvieh lots brought an average of $4,432 to lead all breeds. The Angus were next at $4,302 for 41 lots. The sale topper was the grand champion Gelbvieh bull that fetched a high bid of $21,000. In the junior show, 461 animals were led into the show ring, including 205 from Kentucky. This year marked the 30th anniversary for the Beef Expo. Wendell Bruce, a long-time cattle producer and Vice-President of the Beef Expo Board has seen all of them. He said this show is an indication of the quality of beef cattle being produced in the state. Bruce pointed out the economic benefits of the expo saying that $1 million-plus turns over about 6.6 times before it leaves the area, infusing an impact of over $6 million to the area’s economy. He also noted that the cattle being shown, bought and sold are continually getting better. 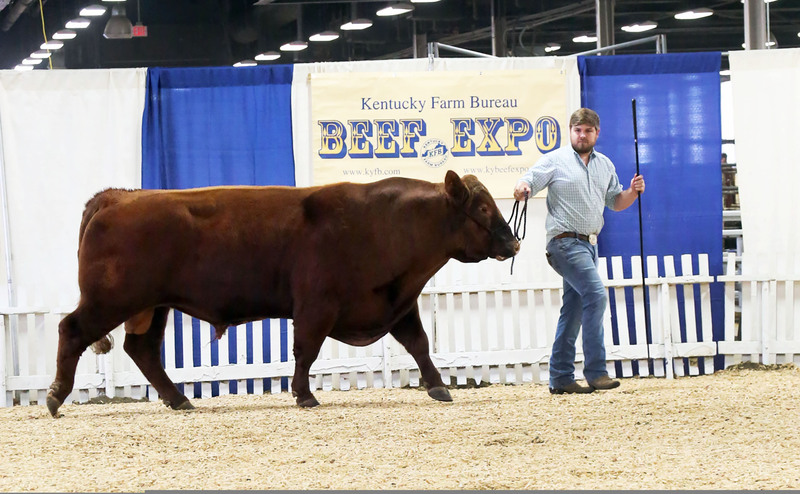 “The breeders of Kentucky are to be commended as well as those that come from out-of-state for exhibiting outstanding cattle and, consequently, the buyers are responding,” said Bruce. He also expressed his thanks to all the volunteers and the sponsors including Kentucky Farm Bureau, the Kentucky Department of Agriculture and Farm Credit Mid-America.